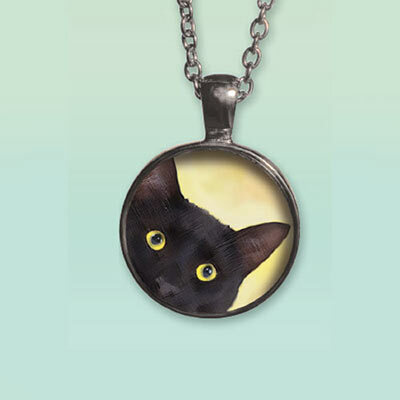 The curious feline on our cute kitty necklace peeks out from a darling pendant crafted of glass and silver metal. A classical design with a modern twist. Chain, 31"l with 3" extender; Pendant, 1½"l.
Not only is this a sweet kitty necklace, it is very well made with a nice quality and long chain. Great price!